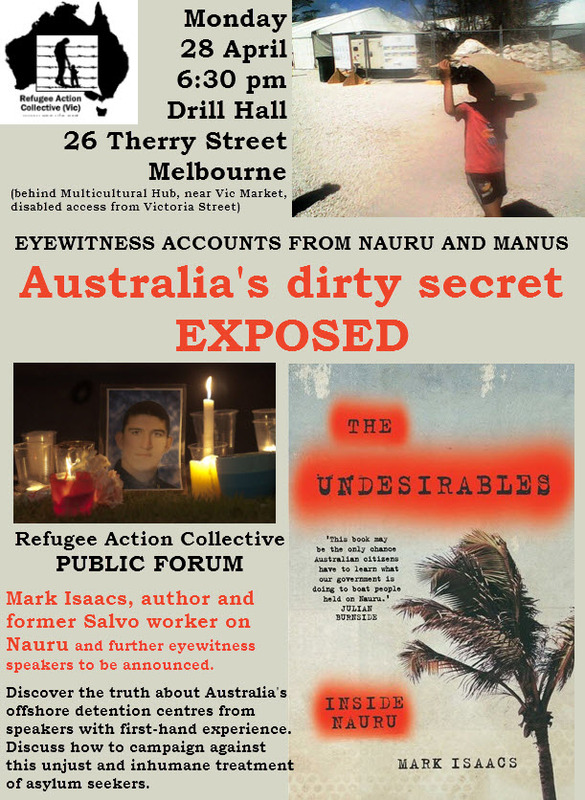 Marc Isaacs – former Salvation Army worker on Nauru, and author of a new expose “The Undesirables” of Australia’s brutal treatment of refugees on Nauru. Eyewitness accounts from inside Australia’s detention centres are rare. Walled in behind government secrecy, contracts which bind them to silence, and fear for their livelihoods, staff and former employees of the groups running the centres bite their tongues or confide only in close colleagues, family members or friends. The few who have spoken to the media have mostly done so anonymously, or through third parties. Now, the first of what could be a steady trickle of embarrassing whistleblower accounts has emerged in the form of an explosive book, The Undesirables, by a former Salvation Army employee, 26-year-old Sydneysider Mark Isaacs. The title is taken from a term Isaacs says a government staffer was overheard using to describe the asylum seekers at the camp.